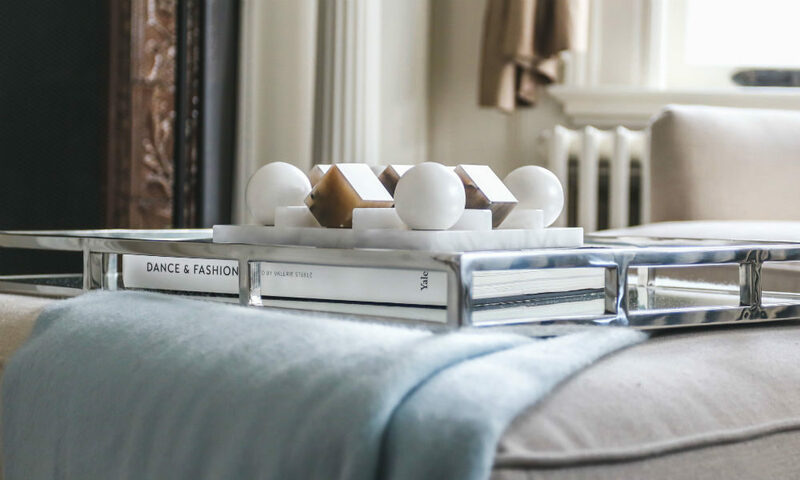 Early on in my career, I came to the conclusion that, despite one’s best intentions and talents, “good taste” could become boring unless there was an element of the unexpected involved. This belief has defined much of who I am as a designer and has been inherent in everything I’ve done ever since (and not just in the design realm). Mixing it up a bit comes naturally to me and has, in fact, become the core of my signature style. Here are five examples that illustrate how to bring your home from the expected to the spectacular. 1. An otherwise ho-hum black-and-white family photo gallery gets a shot of fun and whimsy with colorful, custom-framed and -matted wrapping paper prints. Alternatively, you can frame kids’ art, meaningful quotes or small paintings. 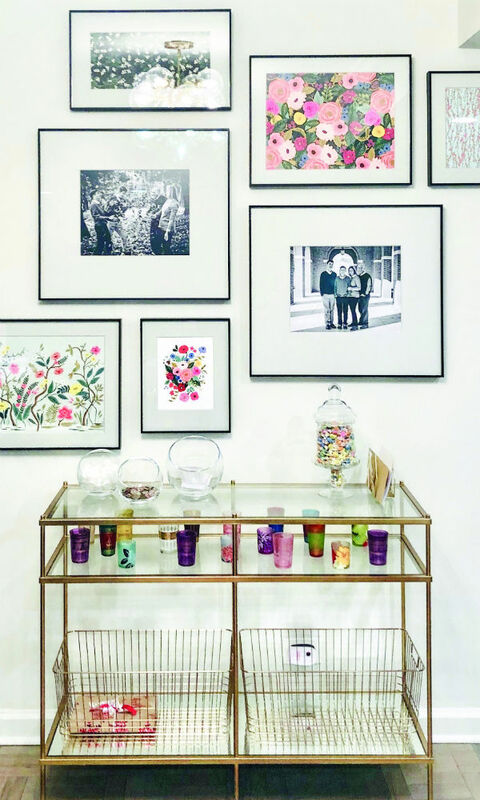 It’s the perfect way to personalize your space and bring special photos to life with color, pattern and, well, joy. 2. A traditional room gets new life with the sparkle of a modern crystal chandelier, a fab polished-nickel tray and the straight lines of a transitional take on the timeworn wing chair. 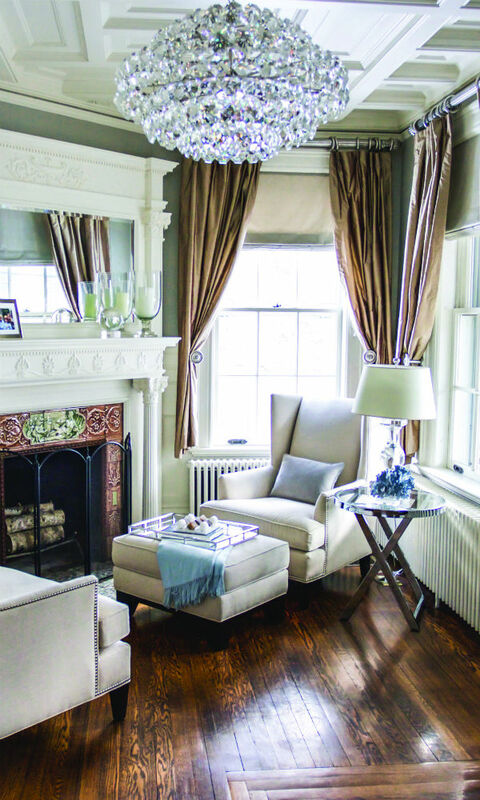 When combined with stately silk drapery, crisp white trim and dark-stained hardwood floors, this room boasts the tried and true as well as a bit of the unexpected, while breaking all the rules. 3. A home office gets a pop of excitement with a new take on color and pattern. A flat weave rug with an exaggerated herringbone pattern and bright colors makes an out-of-left-field cameo in this traditional room alongside a mod-houndstooth-inspired ottoman and fur pillow. Positioned beside classic linen flat-Roman shades and plush moldings, these fun furnishings inspire creativity and happy thoughts. 4. 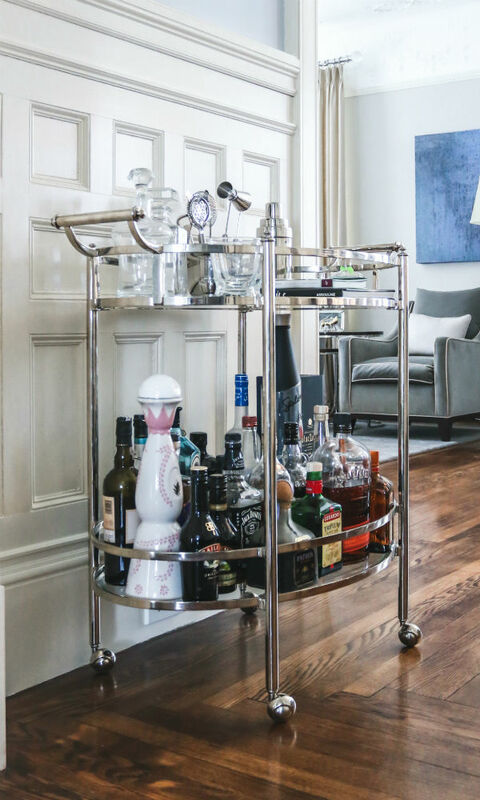 A traditional dining room gets a new look with the addition of a postmodern, polished-nickel bar cart, complete with unusual bottles, crystal barware and cocktail accoutrements. Graced with lovely moldings from the early 1900s, this room’s elegance is only enhanced by its fanciful air. 5. 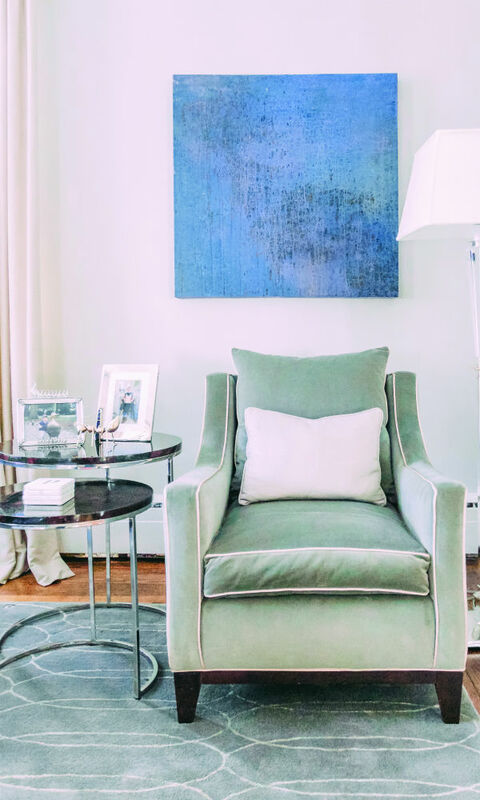 A large contemporary painting makes an unanticipated appearance in this traditional room, beside black-and-white wedding photos and atop a silver velvet transitional chair piped with tan silk. Classic tailored drapery, pen-shell nesting tables and a modern wool rug complete the juxtaposition of old and new, to make the room delightfully stylish yet undeniably classic. In a word, perfect. 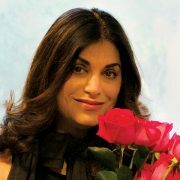 Beverly Tracy is an award-winning, nationally recognized interior designer based in Saratoga Springs. She's saratoga living's Design Editor.